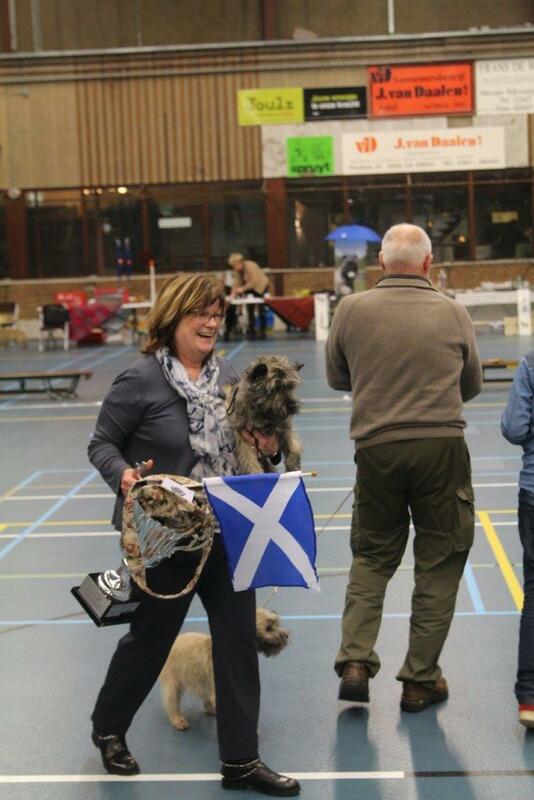 On november 23th we were present at the Champion Clubmatch of the Dutch Cairn Terrier Club with three of our Cairns. Red Creek Rebels Love Me Tender (Puk). 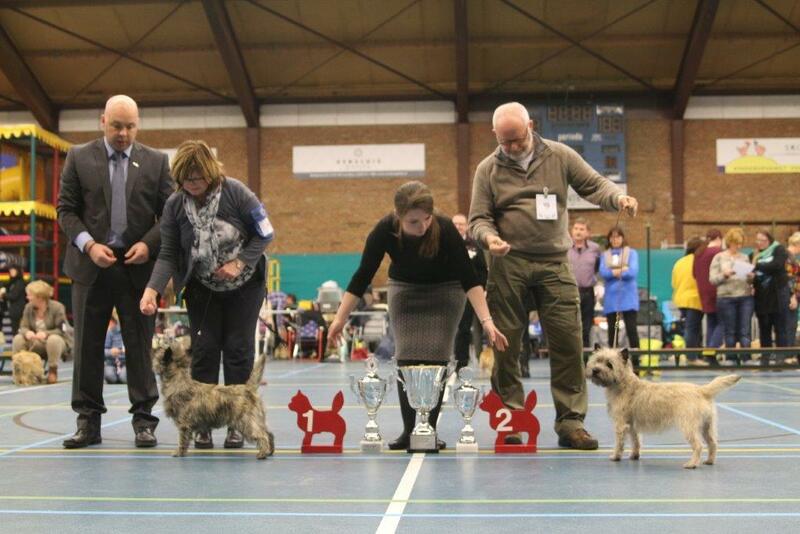 115 Cairn Terriers were entered. 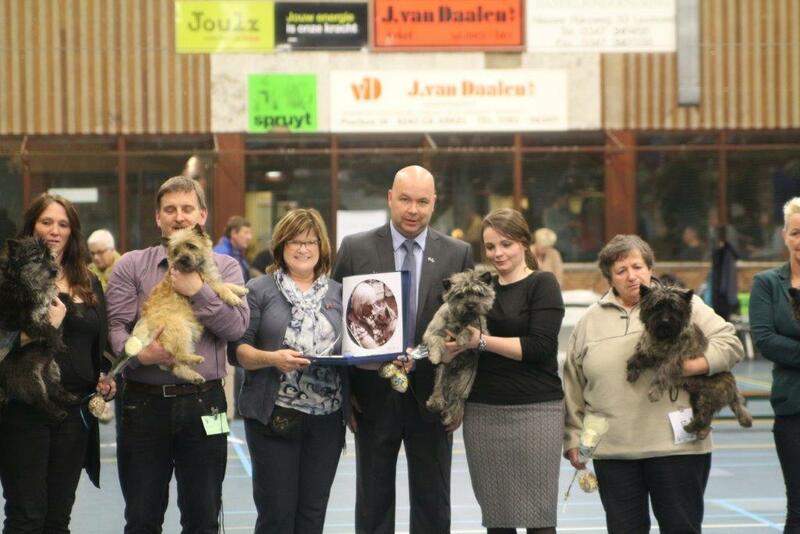 No words needed … Soooo happy!!! 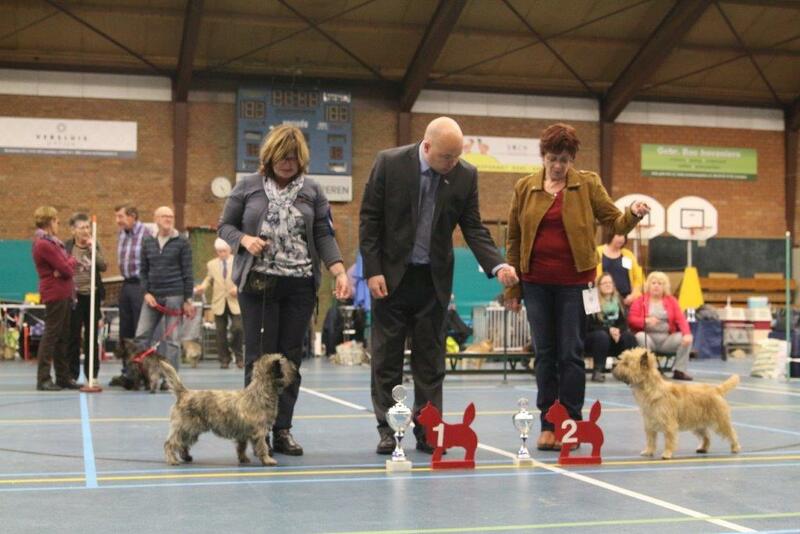 Zina got an Excellent in a big (12) Junior Class Females. A special thank you to Ian Shaw and Amy Firth for their trust and of course for the lovely presents! What an marvelous day to end our show-year 2014!! !